Traditionally, this is the part of most stories that nobody cares for. Robert Rodriguez cut this act out of Planet Terror because it’s the bit nobody cares for, the prerequisite set up for a far more interesting climax, still and always balancing things so nothing climaxes too soon, so it can all crescendo together. The human resistance is spread thin around the world, suicidally striving for survival. More an excuse to showcase multiple non-mutant characters than anything. I Like: All the black people are starving, dressed in rags, pathetic. The white people are fit, well-fed, and often dressed in nice, clean clothes. (That’s probably not intentional.) Donald Blake and Tony Stark look great, thanks to Carlos Pacheco, who draws incredibly attractive men. I Dislike: The blinding of Matt Murdock, and some other touches that imply certain injuries or motifs from the normative Marvel Universe are inevitable. I Don’t Understand: How are the Marauders a thing? These Marauders are a team of international assassins. This is Norman Osborne (a scientist and businessman), Wilson Fisk (an emperor of crime), The Owl (a sometimes psychotic gang leader), and Arcade (a delusional assassin). How are they all flying around on magic floaty-shoes, why has Norman “I’m the Green Goblin, goddammit” Osborne got long cornrows going? Why does Fisk have reverse-suspenders that go from belt down his crotch? And, why is Wilson Fisk’s assassin name, “Dirigible”? Did he not oppose this? 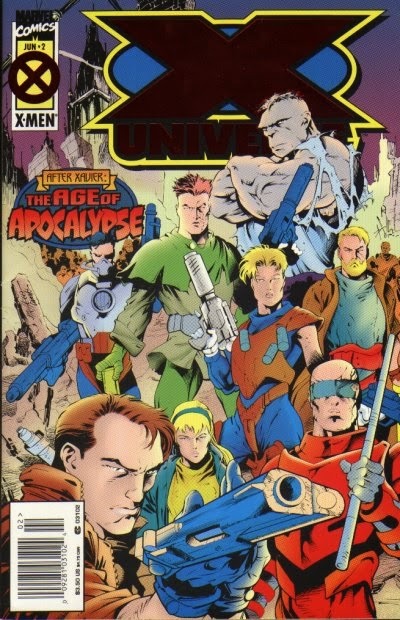 The X-Men invade a processing plant for making and armoring up new foot soldiers for Apocalypse. It goes poorly for them. I Like: It looks fantastic. Sabertooth gets knocked around pretty fierce. 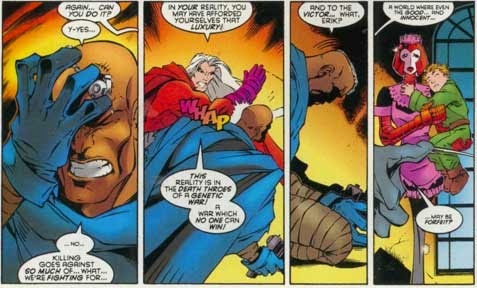 is how Bishop and Magneto debate destroying the entire world and resetting time by twenty years. I Don’t Understand: How the dual plans of stop Apocalypse and reset reality are supposed to come together. Doesn’t either one sort of make the other not that pressing? The deranged goodies and the psychotic baddies both make it to the paradisiacal refuge, Avalon. Some of them die and the guns are all huge. I Like: Ken Lashley’s art has wonderful depth and is perpetually loud. The characters feel like full people, yet they’re all strongly distinct from one another. 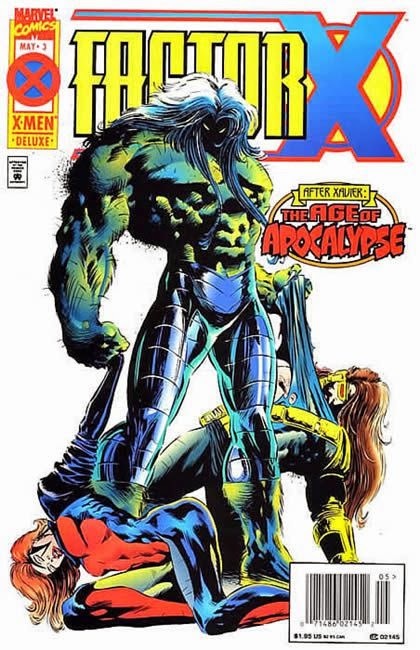 I Dislike: Lashley’s work here suffers a few key 90s drawbacks, including Mystique’s hair being almost as tall as she is, and no one ever really standing on the ground as the ground is drawn. I Don’t Understand: Why this issue is so talky, when it really doesn’t need to be and Warren Ellis is usually canny enough to avoid that. Gambit and his peeps invade an intergalactic empire to steal a crystal that can destroy existence! I Dislike: Charles Xavier being so important is silly. Gambit highlighting how superfluous most of this series has been by flat asking a character, in the third of four issues, to justify the plot for him doesn’t hang a lampshade on it, or whatever, it just makes it feel ridiculous and superfluous. I Don’t Understand: Why do any of the characters in this issue feel any desire to take the actions they take? Where are the motivations? The personal agendas? The invasion of the labor camp continues, with two of the team impersonating the boss, and others breaking in and skulking around, biding time. I Like: Chris Bachalo is fearless when it comes to both mise en scene in panels and the layout of each page. People die spontaneously and unexpectedly in Generation Next and that’s very appreciated. I Dislike: Colosses and Kitty have just been walking around, making kid work, for three issues? I Don’t Understand: Scott Lobdell is usually strong at doing soap opera style characterization, about people persona-first in his stories. Here, no one seems more than broad strokes and a costume. 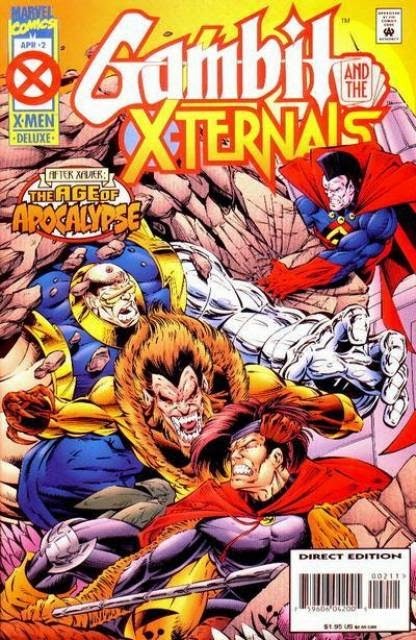 Logan treks across the ice and snow to fight cyborgs and hook up with Carol Danvers and the mutant known as Gateway. I Like: Gateway as an intellectual stoner is genius, and finally putting him in something other than a breechclout is huge. Prior to this, and after, Gateway has been a near-naked, almost-always-silent magic ethnic stereotype, and here he’s exploding with personality and a life. Similarly, Carol Danvers comes alive under Larry Hama, and with Adam Kubert drawing her appropriately-dressed and heavily armed, she looks hard as hell. I Dislike: Occasionally, there’s a sequence of panels that simply flow poorly, and it hurts more because, otherwise, Hama and Kubert knock this one outta the park. I Don’t Understand: Why Gateway and Carol can’t be written this cool and in charge of themselves all the time. The villains triumph? Magneto defeated? Bishop captured? Quicksilver is… having… feelings? X-Men run! X-Men stand around. I Like: Kevin Somers’ genius coloring. I Dislike: I love unique story structures, but this doesn’t seem to be a story so much as a few events that are relatively connected. There’s no flow, no arc, no overarching point. If anything, the issue is over-arcing, throwing balls in the air that I - because this is a reread - know are going to come down in later comics, but without even giving us a strong leaving point or any sense of lingering concern. Halfway through the comic, we literally get a caption that reads “Time passes,” to bridge two scenes. “Time passes” is the dumbest thing to say in the middle of your story since, roughly, the invention of the middle of stories. I Don’t Understand: Angel has wings (hence, “Angel”). How does he take a jacket off down his back, when he’s got a ten foot wingspan? Scott Summers starts developing a conscience, and reencounters Jean Grey. Meanwhile, his brother’s secret squeeze, nightclub singer, Scarlet, is under suspicion, and Scott’s brother, Alex, is reevaluating his life and getting angry. I Like: It’s very unashamedly soapy. I Don’t Understand: Why are they all acting like they’re twelve? And how does this rebellion work? Forge and X-Man fight some people. I Like: The layouts, generally with three panels to a page, are innovative and inviting. Domino is a badass. I Dislike: I don’t feel emotionally connected to any of the characters. I’m connected to the action fine, but don’t really care who wins, who dies or not. I Don’t Understand: The Sinister thing, where disguised and hanging with X-Man and crew. What does it get him? Silly humans try to live free under the oppressive regime of mad mutants. Some find love. Some find… organ harvesting? I Like: The layouts are dynamic. The red and black motif for Matt’s radar vision looks cool. I Dislike: Too many people running around just being names and a look. Too many people in hellish situations acting like they’re extras in Tango & Cash. I Don’t Understand: Why is Ben Grimm always jumping or midair? How did not-Thor, Don Blake, lose all his muscle mass this issue, from last? 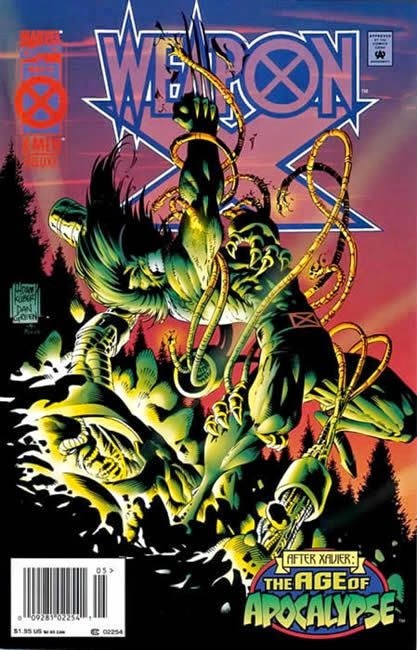 X-Calibre takes a sharp turn in its third issue, with one of the villains changing her tune upon seeing the paradisiacal sanctuary with her own eyes, and several characters buying it in unpredictable but reasonable fashion. Weapon X has its share of deaths and developments that, again, shift things up from where we might have thought they were going, introducing Carol Danvers and Gateway and shifting Logan’s basic mission. It plays off the losses and gains of the previous two issues, without being a place-setter for the climax, and is thus satisfactory on its own. 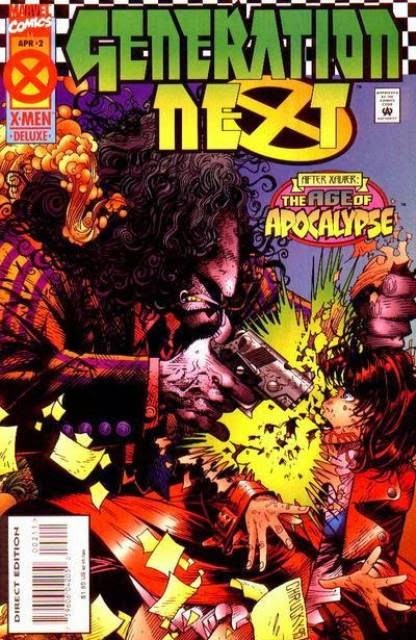 Amazing X-Men is just… well, it's a comic. That is probably the best I can say for it. It has images, in panels, and word balloons, they follow a sequence. But, you could read a summary of the issue and come away with the same thing reading the comic gives. For its time, the coordination is quite sound. The general quality of the tie-ins, is for its time unprecedented. I’m critical here, because criticism helps build better things down the road. Chastisement has its place, but this probably isn’t it. Which, can be difficult to keep in mind. “How dare you not entertain me to the level I want!” can be an easy statement to come to. 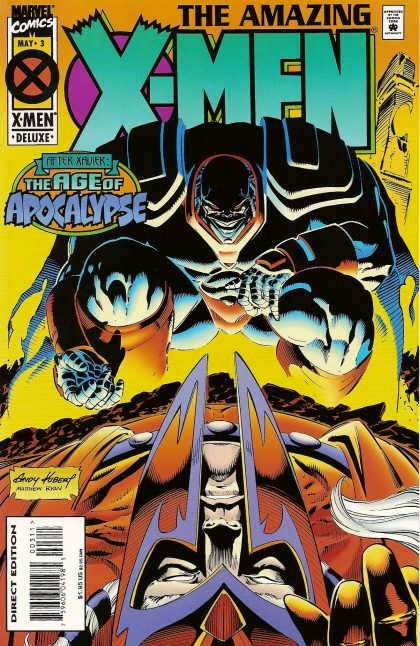 The Age of Apocalypse set up the system for many later big superhero events, from Seven Soldiers of Victory and Infinite Crisis to Secret Invasion. 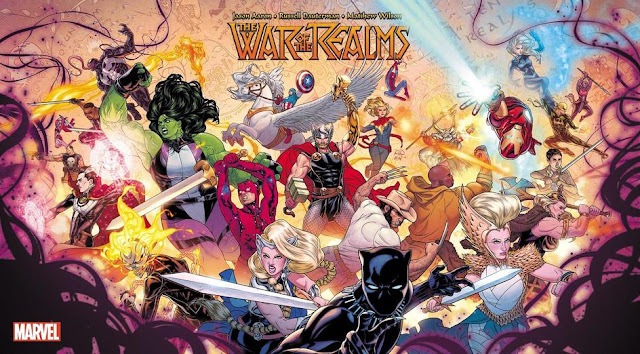 Multiple miniseries running concurrent and covering different bases, glimpses (or long looks) at alternate paths characters and events could have taken, and the hope that at least one mini would stick and become an ongoing title. AoA is probably more important as an event than it is as a story or a comic. The individual comics, or the story collectively, has its ups, for sure, it has some serious shine even now. When I am critical of an issue or title in particular, it’s by reflection of the best of the AoA, not because it’s pure garbage. 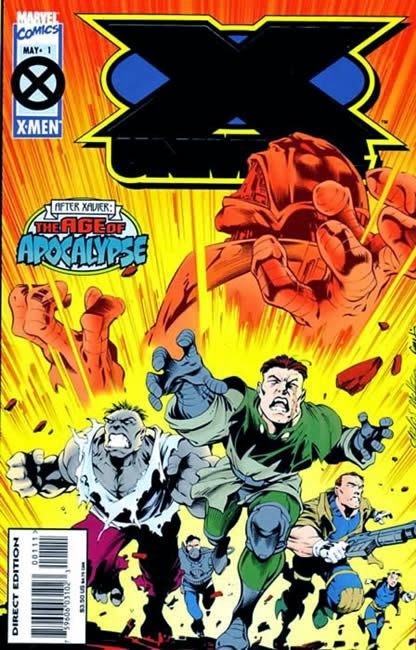 There is, actually, no truly terrible comics in the AoA package as originally presented at that time. But, as an event, it was hugely influential and proved that these interlocking systems had more strength, that there was money in ancillary minis and fill-in-the-moment oneshots. It isn’t just about there being money in this arrangement. Money is good, but if you were up for money, comics wasn’t - even in those heady hand over fist days - the best place to stick around. AoA demonstrated that a level of interweaving between titles, an elegance of structure that no one had risked before was not only possible, but could be addicting. 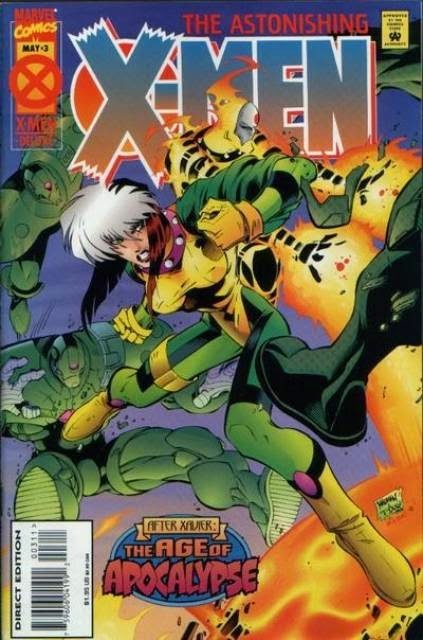 I seriously doubt many fans were only picking up X-Universe or Factor X. 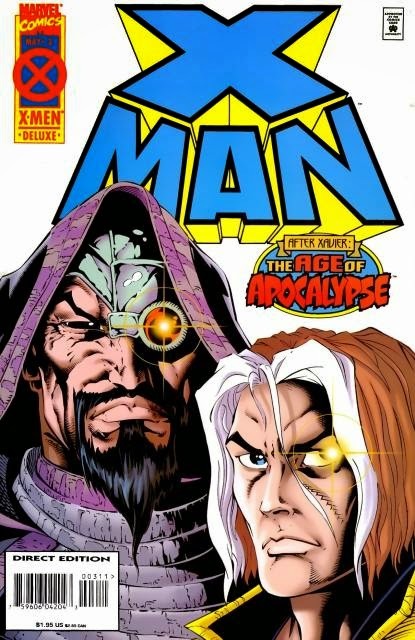 People read the individual titles, but more honestly, we read the Age of Apocalypse. Next time: Who will end the world! And will the baby die first!? !